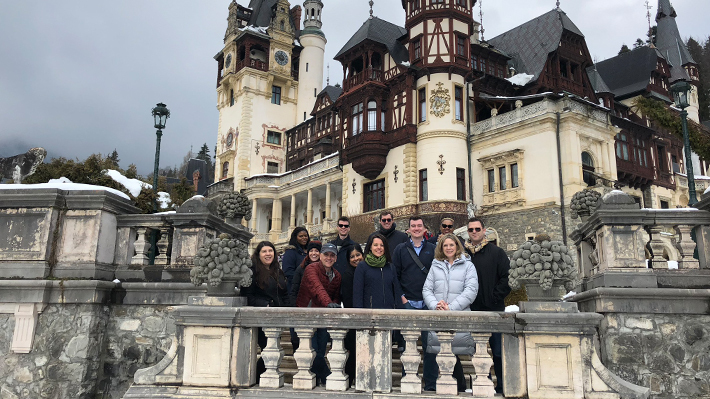 A group of 18 Drexel LeBow MBA and MS students recently traveled to Romania to gain some insight into business in an international context. Their time abroad included a guided tour of Bucharest including the Romanian Parliament and visits to the Port of Constanta the American Chamber of Commerce. Company visits included FitBit, Centrade, Cola Cola and Bitdefender. The students enjoyed a guided tour of Peles Castle and a vineyard tour and wine tasting at SERVE. They also had the unique opportunity to hear from the dean and vice dean of the Bucharest Business School, and network with students from the school’s Romania-French, Romania-Canada, and Romania-German MBA Programs. 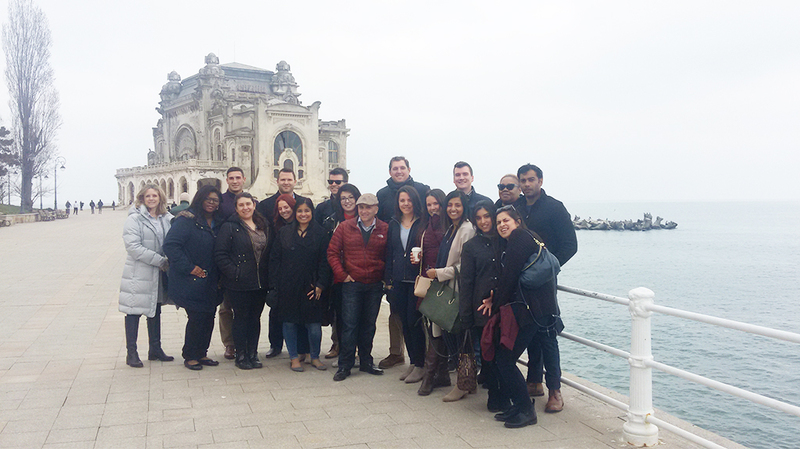 Students in LeBow’s MBA and MS programs traveled to Bucharest to experience how Romania’s history, culture, and politics shape business.